If you’re looking for some scholarly resources on Pilates or mindful movement, we hope you find this bibliography useful. It is the result of months of research on an article that I am currently writing on mindfulness, mind-body movement, and aging. I have omitted many sources that are specific to aging. The article links will take you to the article’s abstract, and where available, the full PDF. These are only a sampling of articles. There are some that I could not access and there are some that did not fit my original search parameters, but this listing should get you started on your own research journey if you follow additional citations in articles that appeal to you. Upon reading many of the articles, I found much of the research in our field to be young, thus a bit rough and at times, immature. In addition, given the complexity of Pilates as a movement system, it is not so easy to answer one narrow hypothetical question through a scientific methodology. For this reason, many of the articles will claim to be “inconclusive”. However, what I took from all these articles, whether the methods were questionable or results inconclusive, is that there are trends emerging. Trends that understand mindful movement, and the role that Pilates has in physical fitness, rehabilitation and overall wellness. This is exciting news! I am looking forward to seeing how research grows to reflect and support what many of us know and see everyday. Pilates changes lives! AbramavičiŬtė, V., Zaičenkovienė, K., & Sujeta, A. (2013). The influence of Pilates exercise on women’s anthrophometry indices, core muscle performance and heart rate changes during the session. Indexed in Central and Eastern European Academic Source (EBSCO), IndexCopernicus, SPORTDiscus with Full Text (EBSCO)., 5. Aladro-Gonzalvo, A. R., Machado-Díaz, M., Moncada-Jiménez, J., Hernández-Elizondo, J., & Araya-Vargas, G. (2012). The effect of Pilates exercises on body composition: a systematic review. Journal of bodywork and movement therapies, 16(1), 109-114. Aladro-Gonzalvo, A. R., Araya-Vargas, G. A., Machado-Díaz, M., & Salazar-Rojas, W. (2013). Pilates-based exercise for persistent, non-specific low back pain and associated functional disability: a meta-analysis with meta-regression. Journal of bodywork and movement therapies, 17(1), 125-136. Andersen, S. R., Würtzen, H., Steding-Jessen, M., Christensen, J., Andersen, K. K., Flyger, H., ... & Dalton, S. O. (2013). Effect of mindfulness-based stress reduction on sleep quality: results of a randomized trial among Danish breast cancer patients. Acta Oncologica, 52(2), 336-344. Baer, R. A. (2003). Mindfulness training as a clinical intervention: A conceptual and empirical review. Clinical psychology: Science and practice,10(2), 125-143. Barbosa, A. W. C., Guedes, C. A., Bonifácio, D. N., de Fátima Silva, A., Martins, F. L. M., & Barbosa, M. C. S. A. (2015). The Pilates breathing technique increases the electromyographic amplitude level of the deep abdominal muscles in untrained people. Journal of bodywork and movement therapies, 19(1), 57-61. Barker, A. L., Talevski, J., Bohensky, M. A., Brand, C. A., Cameron, P. A., & Morello, R. T. (2015). Feasibility of Pilates exercise to decrease falls risk: A pilot randomized controlled trial in community-dwelling older people.Clinical rehabilitation, 0269215515606197. Bergamin, M., Gobbo, S., Bullo, V., Zanotto, T., Vendramin, B., Duregon, F., ... & Ermolao, A. (2015). Effects of a Pilates exercise program on muscle strength, postural control and body composition: results from a pilot study in a group of post-menopausal women. Age, 37(6), 1-8. Berger, B. G., & Owen, D. R. (1992). Mood alteration with yoga and swimming-aerobic exercise may not be necessary. Perceptual and Motor skills, 75(3f), 1331-1343. Bullo, V., Bergamin, M., Gobbo, S., Sieverdes, J. C., Zaccaria, M., Neunhaeuserer, D., & Ermolao, A. (2015). The effects of Pilates exercise training on physical fitness and wellbeing in the elderly: a systematic review for future exercise prescription. Preventive medicine, 75, 1-11. Caldwell, K., Adams, M., Quin, R., Harrison, M., & Greeson, J. (2013). Pilates, mindfulness and somatic education. Journal of dance & somatic practices, 5(2), 141. Cancela, J. M., de Oliveira, I. M., & Rodríguez-Fuentes, G. (2014). Effects of Pilates method in physical fitness on older adults. A systematic review.European Review of Aging and Physical Activity, 11(2), 81-94. Cancelliero-Gaiad, K. M., Ike, D., Pantoni, C. B., Borghi-Silva, A., & Costa, D. (2014). Respiratory pattern of diaphragmatic breathing and pilates breathing in COPD subjects. Brazilian journal of physical therapy, 18(4), 291-299. Choi, J. H. (2014). Effects of Eight-week Pilates Training on Elderly People’s Dynamic and Static Balance Abilities. J Korean Soc Phys Med, 9(3), 325-331. Costa, L. O., Hancock, M., Maher, C. G., Ostelo, R. W., & Cabral, C. (2012). Pilates for lowâ€�back pain. The Cochrane Library. Crane-Okada, R., Kiger, H., Anderson, N. L., Carroll-Johnson, R. M., Sugerman, F., Shapiro, S. L., & Wyman-McGinty, W. (2012). Participant perceptions of a mindful movement program for older women with breast cancer: focus group results. Cancer nursing, 35(3), E1-E10. Cristóbal, R. V., Cárceles, F. A., Ros, F. E., Plaza, D. L., Rodríguez, J. M. M., & Miñarro, P. A. L. (2014). Body composition and morphological characteristics in women reformer Pilates practitioners. Archivos de medicina del deporte: revista de la Federación Española de Medicina del Deporte y de la Confederación Iberoamericana de Medicina del Deporte, (164), 397-404.
da Fonseca, J. L., Magini, M., & de Freitas, T. H. (2009). Laboratory gait analysis in patients with low back pain before and after a pilates intervention.Journal of Sport Rehabilitation, 18(2), 269.
de Oliveira Francisco, C., de Almeida Fagundes, A., & Gorges, B. (2015). Effects of Pilates method in elderly people: Systematic review of randomized controlled trials. Journal of bodywork and movement therapies,19(3), 500-508. Gladwell, V., Head, S., Haggar, M., & Beneke, R. (2006). Does a program of Pilates improve chronic non-specific low back pain?. Journal of sport rehabilitation, 15(4), 338. Fourie, M., Gildenhuys, G. M., Shaw, I., Toriola, A., & Goon, D. (2012). Effects of a mat Pilates programme on muscular strength and endurance in elderly women. AJPHERD, 18, 299-307. Freeman, J. A., Gear, M., Pauli, A., Cowan, P., Finnigan, C., Hunter, H., ... & Thain, J. (2010). The effect of core stability training on balance and mobility in ambulant individuals with multiple sclerosis: a multi-centre series of single case studies. Multiple sclerosis. Freeman, J., Fox, E., Gear, M., & Hough, A. (2012). Pilates based core stability training in ambulant individuals with multiple sclerosis: protocol for a multi-centre randomised controlled trial. BMC neurology, 12(1), 1. ĠREZ, G. B. (2009). Pilates exercise positively affects balance, reaction time, muscle strength, number of falls and psychological parameters in 65+ years old women (Doctoral dissertation, Middle East Technical University). Herrington, L., & Davies, R. (2005). The influence of Pilates training on the ability to contract the transversus abdominis muscle in asymptomatic individuals. Journal of bodywork and movement therapies, 9(1), 52-57. Irez, G. B. (2014). The effects of different exercises on balance, fear and risk of falling among adults aged 65 and over. Anthropologist, 18(1), 129-134. 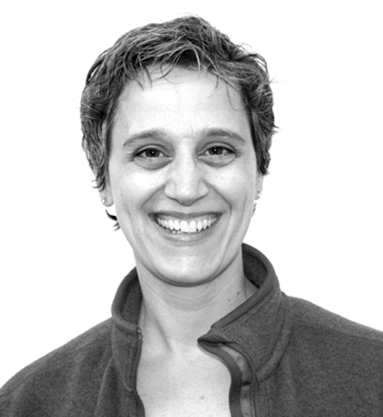 Joy Puleo is a Pilates instructor, practitioner and the Education Program Manager for Balanced Body. She is absolutely passionate about using movement as a crucial key to changing our everyday lives for the better. Johnson, L., Putrino, D., James, I., Rodrigues, J., Stell, R., Thickbroom, G., & Mastaglia, F. L. (2013). The effects of a supervised Pilates training program on balance in Parkinson’s disease. Keays, K. S., Harris, S. R., Lucyshyn, J. M., & MacIntyre, D. L. (2008). Effects of Pilates exercises on shoulder range of motion, pain, mood, and upper-extremity function in women living with breast cancer: a pilot study.Physical Therapy, 88(4), 494-510. Küçük, F., & Livanelioglu, A. (2015). Impact of the clinical Pilates exercises and verbal education on exercise beliefs and psychosocial factors in healthy women. Journal of physical therapy science, 27(11), 3437. Kim, H. J., Kim, J., & Kim, C. S. (2014). The effects of pilates exercise on lipid metabolism and inflammatory cytokines mRNA expression in female undergraduates. Journal of Exercise Nutrition & Biochemistry, 18(3), 267. Konstantaki, M., Fasbender, J., & Cudmore, T. The Effects Of A Pilates Intervention On Arterial Stiffness And Trunk Flexibility. La Forge, R. (1997). Mind-body fitness: encouraging prospects for primary and secondary prevention. Journal of Cardiovascular Nursing, 11(3), 53-65. La Forge, R. (2005). Aligning mind and body: Exploring the disciplines of mindful exercise. ACSM's Health & Fitness Journal, 9(5), 7-14. Lange, C., Unnithan, V. B., Larkam, E., & Latta, P. M. (2000). Maximizing the benefits of Pilates-inspired exercise for learning functional motor skills.Journal of bodywork and Movement Therapies, 4(2), 99-108. Marandi, S. M., Nejad, V. S., Shanazari, Z., & Zolaktaf, V. (2013). A comparison of 12 weeks of Pilates and aquatic training on the dynamic balance of women with multiple sclerosis. International journal of preventive medicine, 4. Marinda, F., Magda, G., Ina, S., Brandon, S., Abel, T., & Ter Goon, D. (2013). Effects of a mat pilates program on cardiometabolic parameters in elderly women. Pakistan journal of medical sciences, 29(2), 500. Martins-Meneses, D. T., Antunes, H. K. M., de Oliveira, N. R. C., & Medeiros, A. (2015). Mat Pilates training reduced clinical and ambulatory blood pressure in hypertensive women using antihypertensive medications.International journal of cardiology, 179, 262-268. Miyamoto, G. C., Costa, L. O., Galvanin, T., & Cabral, C. M. (2011). The efficacy of the addition of the Pilates method over a minimal intervention in the treatment of chronic nonspecific low back pain: a study protocol of a randomized controlled trial. Journal of chiropractic medicine, 10(4), 248-254. Netz, Y., & Lidor, R. (2003). Mood alterations in mindful versus aerobic exercise modes. The Journal of psychology, 137(5), 405-419. Ono, C. (2010). Determination of cardiorespiratory response during mat Pilates exercise (Doctoral dissertation, CALIFORNIA STATE UNIVERSITY, LONG BEACH). Ott, A. (2015). Is Pilates-based Exercise Effective In Improving Balance In HealthyAdults Over The Age Of 18?. Pereira, L. M., Obara, K., Dias, J. M., Menacho, M. O., Guariglia, D. A., Schiavoni, D., ... & Cardoso, J. R. (2012). Comparing the Pilates method with no exercise or lumbar stabilization for pain and functionality in patients with chronic low back pain: systematic review and meta-analysis. Clinical rehabilitation, 26(1), 10-20. Sekendiz, B., Altun, Ã–., Korkusuz, F., & AkÄ±n, S. (2007). Effects of Pilates exercise on trunk strength, endurance and flexibility in sedentary adult females. Journal of Bodywork and Movement Therapies, 11(4), 318-326. Sorosky, S., Stilp, S., & Akuthota, V. (2008). Yoga and pilates in the management of low back pain. Current reviews in musculoskeletal medicine,1(1), 39-47. Surbala, L., Khuman, P. R., Gopal Nambi, S., & Kalpesh, S. (2013). Pilates in Functional Balance and Quality of Life in Sub-Acute Stroke Subjectsâ€“A Randomized Controlled Study. International Journal of Health and Rehabilitation Sciences (IJHRS), 2(4), 204-211. Venugopal, S., & Anbalagan, P. (2013). Isolated and combined effects of Pilates training and yogic practice on the systolic blood pressure and diastolic blood pressure of obese male adolescents. International Journal of Advanced Life Sciences, 6(2), 102-106. Wajswelner, H., Metcalf, B., & Bennell, K. (2012). Clinical Pilates versus general exercise for chronic low back pain: randomized trial. Med Sci Sports Exerc, 44(7), 1197-1205. Wells, C., Kolt, G. S., Marshall, P., Hill, B., & Bialocerkowski, A. (2013). Effectiveness of Pilates exercise in treating people with chronic low back pain: a systematic review of systematic reviews. BMC medical research methodology, 13(1), 1. Yamamoto, K., Kawano, H., Gando, Y., Iemitsu, M., Murakami, H., Sanada, K., ... & Miyachi, M. (2009). Poor trunk flexibility is associated with arterial stiffening. American Journal of Physiology-Heart and Circulatory Physiology,297(4), H1314-H1318. Yeh, G. Y., Wood, M. J., Lorell, B. H., Stevenson, L. W., Eisenberg, D. M., Wayne, P. M., ... & Davis, R. B. (2004). Effects of tai chi mind-body movement therapy on functional status and exercise capacity in patients with chronic heart failure: a randomized controlled trial. The American journal of medicine, 117(8), 541-548. Yeung, R. R. (1996). The acute effects of exercise on mood state. Journal of psychosomatic research, 40(2), 123-141.